Combined Services and the Barbarians served up a veritable feast of rugby in front of a good crowd on a chilly Plymothian evening in this Remembrance Day encounter. With the band of the Royal Marines on hand to play the last post and the National Anthem prior to kick-off, the scene was set with Services resplendent in their poppy designed shirts and the famous Baa Baa’s black and white hoops and club socks adorning the green Albion pitch. Combined Services lock Marsh McCormack (Royal Navy) was granted a week’s leave from his tour in Afghanistan to take part in last night’s fixture. However, it was Army winger Sam Speight who enjoyed a profitable evening and claimed the man-of-the-match plaudits running in three excellent tries. His first opened the scoring after 13 minutes with a 60 metre run following an interception near his own line. Services skipper Dave Pascoe (Penryn) was unable to add the extras from out wide. The Barbarians, coached on this occasion by Cornish Pirates head coach Ian Davies, hit back soon after as London Welsh winger Alex Davies got in amongst a powerful forward drive to claim his side’s first try. Pontypridd fly-half Dai Flanagan kicking the first of four successful conversions. Services regained the lead in this ding dong encounter as good work from former Exeter Chief’s prop Chris Budgen saw him put in flanker Sam Laird for their second try for a 10-7 lead. Barbarians then hit the Services with a double salvo as Loughborough Students winger Alex Davis, who caught the eye all evening with his silky running and was surely one name noted in Davies’ note book, scored the Baa Baas second try and then prop Laurence Ovens crashed over for try number three, both scores again converted by Flanagan for a 21-10 lead. Danger man Speight cut the deficit for Services just prior to half-time with his second try following some fine play, Pascoe added the extras to leave Services trailing 21-17 at the break. 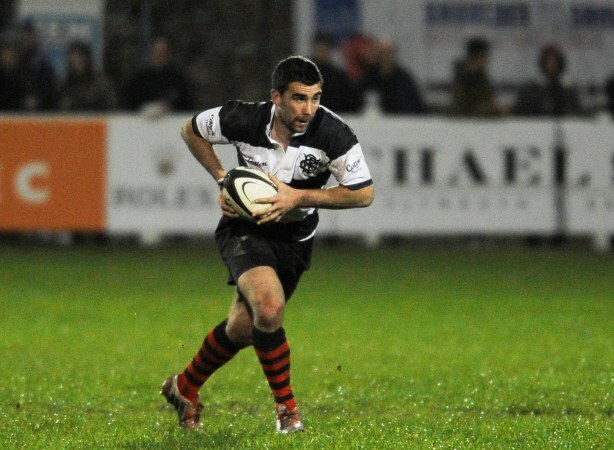 Cornish Pirates’ centre Tom Riley came on at the start of the second half for Chief’s Ceri Sweeney. whilst another player with Cornish connections Kye Beasley who is also playing his rugby at Penryn came on during the second half for the Services. Speight was again involved as another mazy run deep into Barbarian territory set up a try for replacement flanker Maku Koroyadi, Pascoe’s second successful conversion nudging Services back into the lead. Barbarians hit back with a fourth try as Flanagan’s deft kick over the defence was taken by Sale Shark’s centre Chris Mayor for a simple score. Flanagan’s fourth conversion giving his side a 28-24 lead going into the final quarter. In the final ten minutes Services ran in another two tries to seal the game. Speight completed his hat-trick with another exhilarating run in, then at the death replacement Jack Foster made the game safe with his side’s sixth try. The crowd had certainly had their monies’ worth with the ten tries scored. Barbarians: B Davies (Coventry & Wales), C Goudie (Heriot’s & Scotland U.20), C Mayor (Sale), C Sweeney (Exeter Chiefs & Wales), A Davis (Loughborough Students), D Flanagan (Ponypridd & Wales U.21), A Davies (London Welsh & Wales U.21); L Ovens (Rosslyn Park), C Hawkins (Llanelli & Wales U.21), L Niven (Edinburgh & Scotland U.20), H Pugh (Carmarthen Quins & Wales U.20), C McGowan (Worthing), J Freeman (Loughborough Students), S Harding (Bedford Blues), R Oakley (Plymouth Albion & Wales). 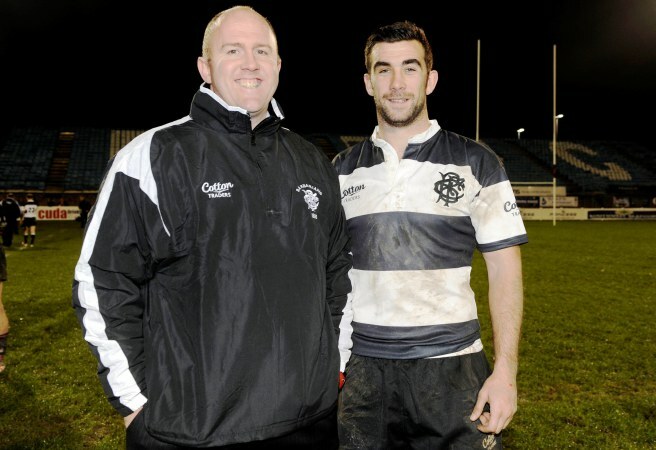 Replacements (all used): G Turner (Edinburgh & Scotland U.20), T. Harrison (Plymouth Albion), D. Bell (Lydney & England), C Dicomidis (Pontypridd & Cyprus), D Eager (Llanelli), R Cushion (Plymouth Albion & Irish Clubs XV), T Riley (Cornish Pirates & Wales U.21), C Ferguson (Heriot’s & Scotland U.20).